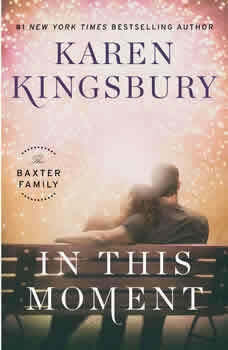 New York Times Bestseller From #1 New York Times bestselling author Karen Kingsbury comes a brand-new Baxter Family novel about a beloved high school principal who starts a Bible Study to improve the lives of his struggling students, only to become the national focus of a controversial lawsuit.Hamilton High Principal Wendell Quinn is tired of the violence, drug abuse, teen pregnancies, and low expectations at his Indianapolis school. A single father of four, Quinn is a Christian and a family man. He wants to see change in his community, so he starts a voluntary after-school Bible Study and prayer program. He knows he is risking his job by leading the program, but the high turnout at every meeting encourages him. A year later, violence and gang activity are down, test scores are up, and drug use and teen pregnancy have plummeted. The program is clearly working—until one parent calls the press. Now Quinn faces a lawsuit that could ruin everything. With a storm of national attention and criticism, Quinn is at a crossroads—he must choose whether to cave in and shut down the program or stand up for himself and his students. The battle comes with a high cost, and Quinn wants just one attorney on his side for this fight: Luke Baxter. In This Moment is an inspiring, relevant story about the nuances of religious freedom and how a group of determined people just might restore the meaning of faith in today’s culture.